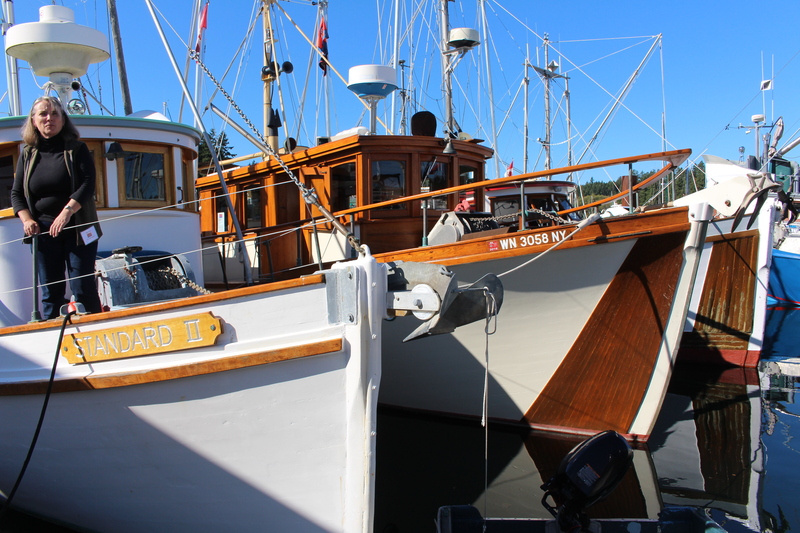 In total there were about 30 boats there, some converted fishing boats, others work boats for all trades, the work done on these boats needs to be admired, beautiful woodwork, converted galleys ,so the owners could easily live on board. 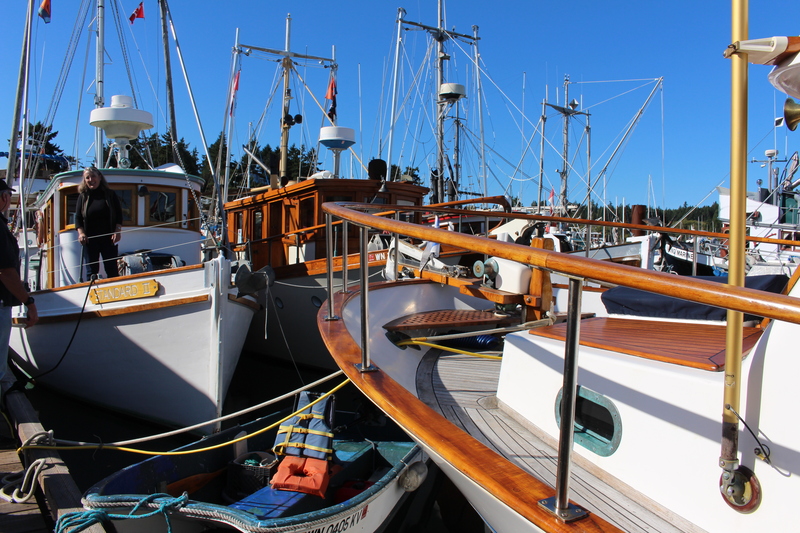 Some of the older vessels are very narrow, and you can sure feel it when some waves hit the sides, but their charm is heart warming, i would not mind someday, to live in one of these boats. 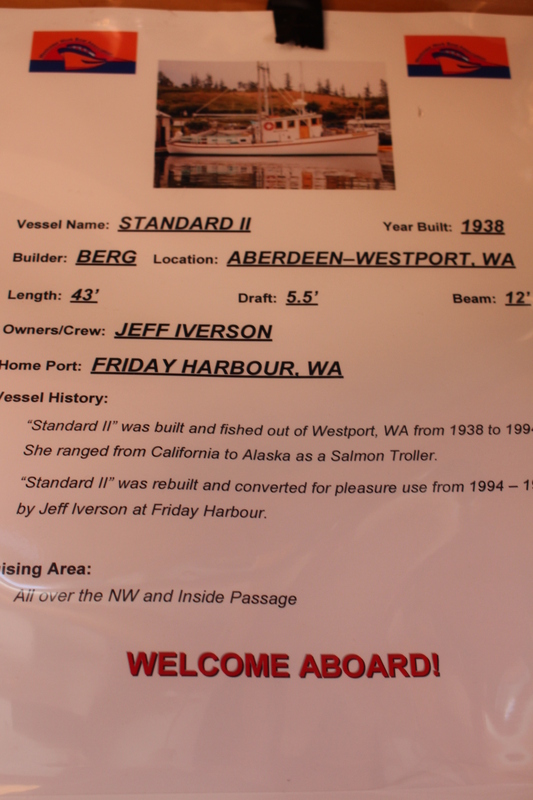 One of them is Standard II, here is some info about her. 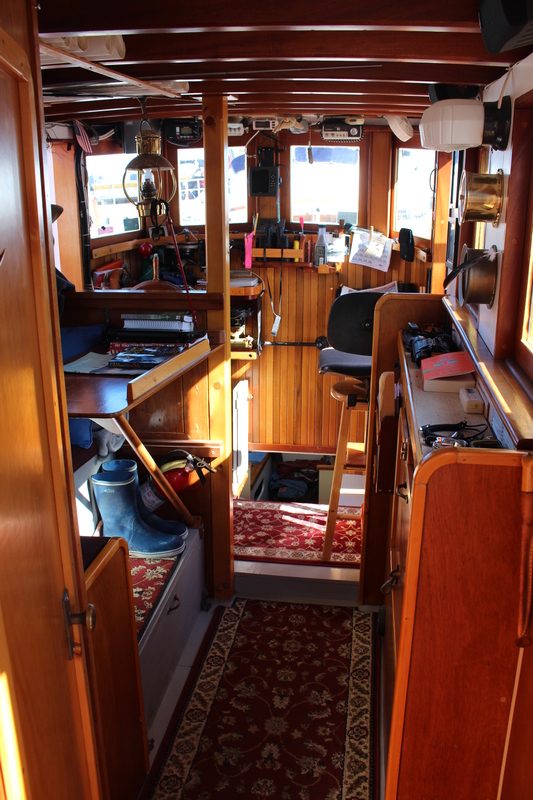 Proud owner, inviting us on board. 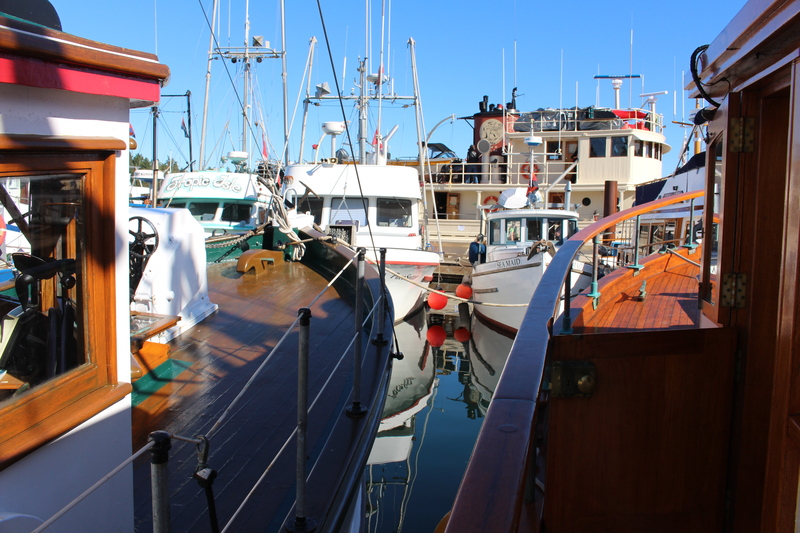 Just amazing , the amount of boats, all somehow tucked into the marina, must have been something else when they all left for the sail past. 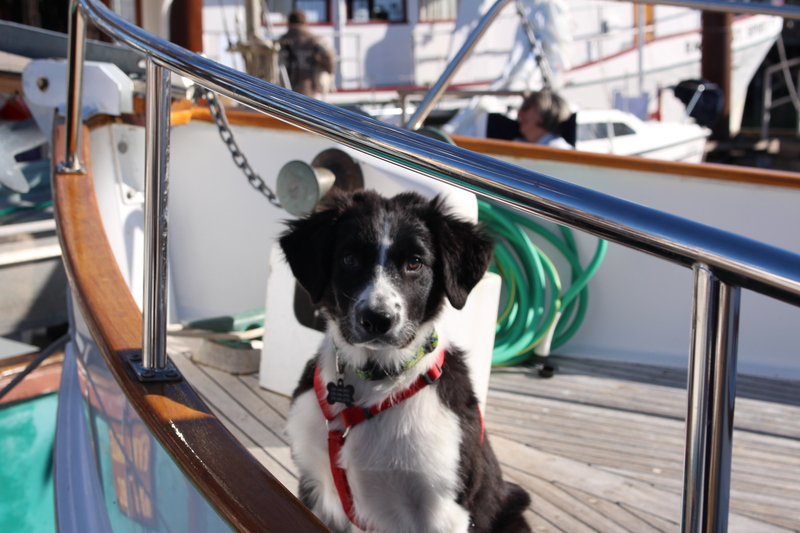 Beautiful border collie pup, guarding the boat, kind of….